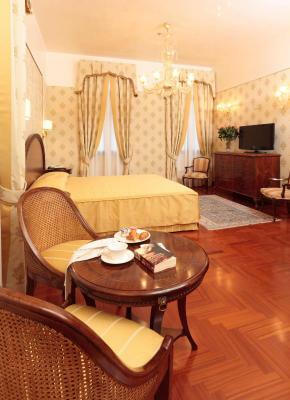 Lock in a great price for Hotel Palazzo Stern – rated 9.2 by recent guests! Second stay at this hotel. Excellent staff after a little confusion over room on our part, we graciously found ourselves in a room with an expected view of the grand canal. 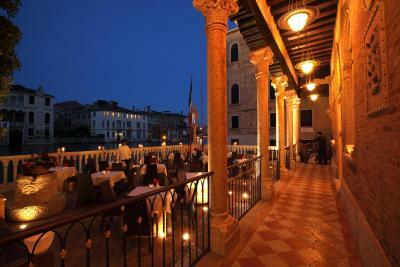 Simply the best location in Dorsoduro, next to vaporetto & Tragheto stop, near Accademia bridge, great terrace. 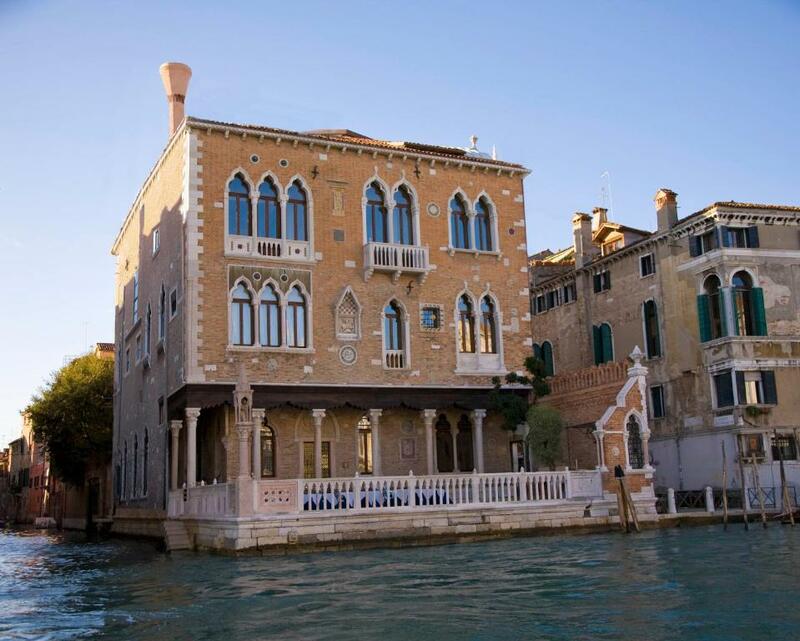 Consider this a home in Venice. This hotel is fantastic! It sits right on the canal and the vaporetto stops just outside the hotel. 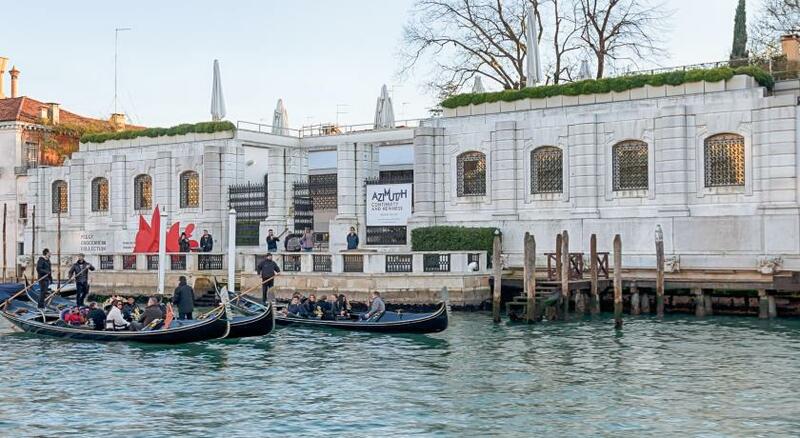 You can take the vaporetto to any of the highlights of Venice. 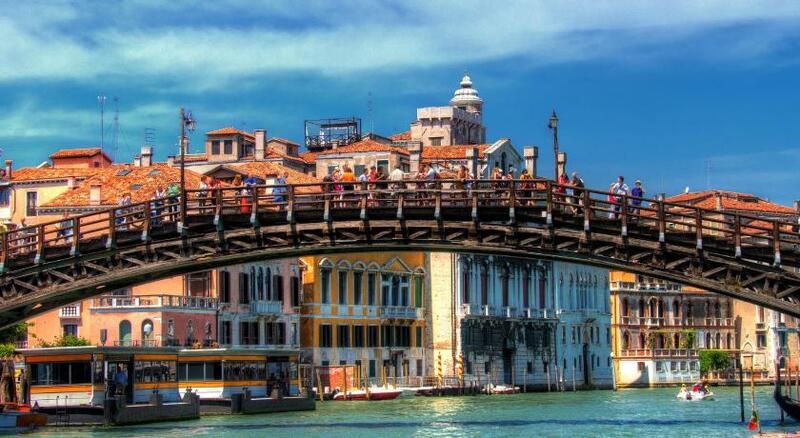 For me, having been to Venice on two other occasions, I wanted to see the locals side of the city. I was not disappointed! I traveled on foot through the alleys and over the bridges, met some fantastic locals and bumped into very interesting history. As for the hotel, I found it to be far more than I expected. 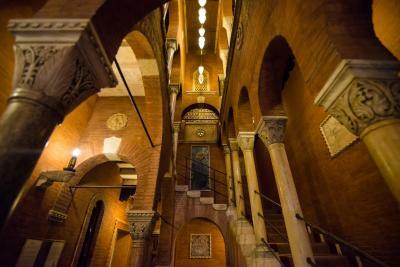 The room was clean, the staff was mostly friendly and accommodating (some, very accommodating), the location is excellent and the lobby, staircases and artifacts are amazing. Obviously, Ms. Stern had an amazing palazzo back in the day. Great location on the canal. Water taxi is right next to hotel so very convenient. Hotel is very charming with its decor. Staff was friendly, welcoming and helpful with telling us how to get around. Definitely recommend this hotel. Great location and the building is several hundred years old. The staff are very friendly and helpful. The water bus and taxi service arrive right in front of the hotel. Close to the sea bus station. Only if one knows how to get there from the train station. 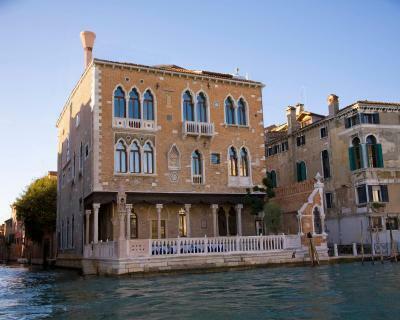 This is “My Hotel in Venice.” I believe this was the fifth year in a row I have made Palazzo Stern my home in Venice. The location and staff are superb. Perfect location and elegant hotel. 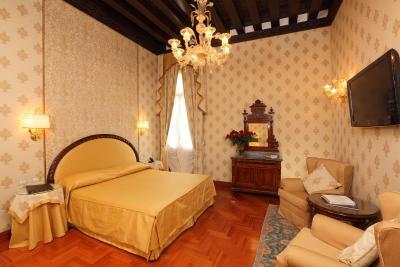 It makes our stay in Venice so easy and comfort. 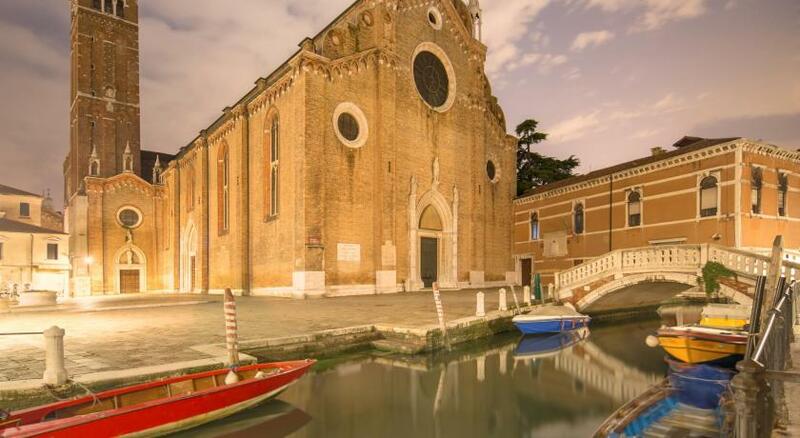 A free boat shuttle to Murano is a big plus. Highly recommended! We were upgraded to a deluxe room which was so beautiful. We even got a free bottle of champagne. Everyone was so friendly and the hotel was amazing. We couldn’t have asked for a better stay! Staff really helpful and friendly, great location - right next to the water bus stop. Breakfast buffet was good, could sit outside next to the canal to eat it every morning - very picturesque! 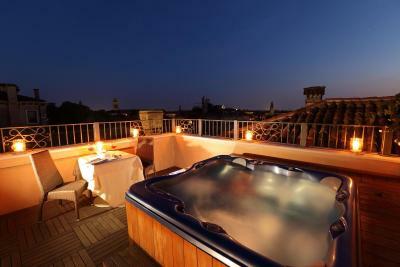 Jacuzzi on roof terrace with lovely view. 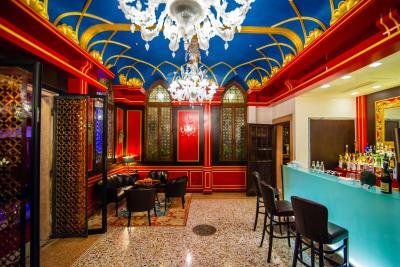 Hotel Palazzo Stern This rating is a reflection of how the property compares to the industry standard when it comes to price, facilities and services available. It's based on a self-evaluation by the property. Use this rating to help choose your stay! 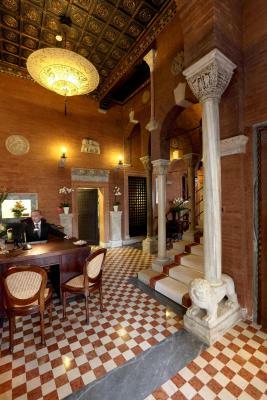 The staff at Hotel Palazzo Stern are always available and can organize excursions, tours and tickets. 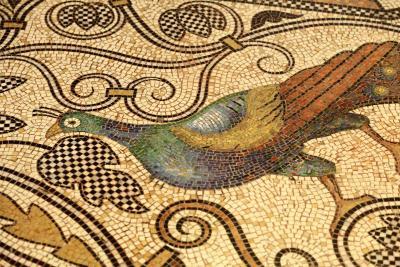 The building still has many original frescoes and mosaics. Rooms are traditionally decorated and some have canal views. Each comes with free Wi-Fi, an espresso coffee maker, and luxury slippers. A continental buffet breakfast is provided daily, including cappuccino and fresh fruit juice, together with cheese and pastries. Room service is also available. 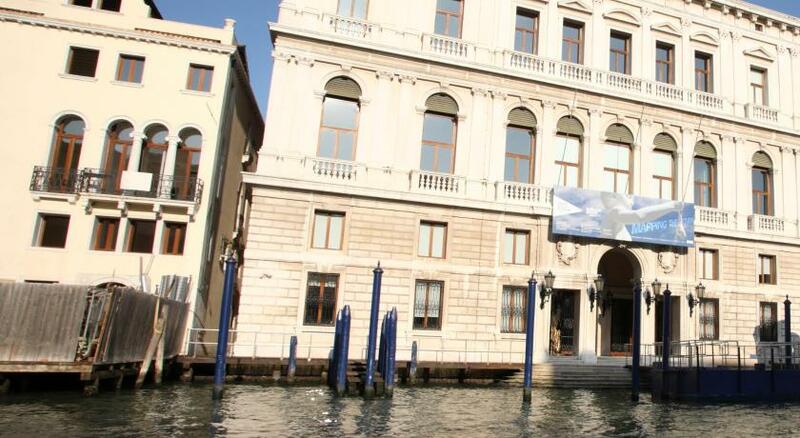 The Ca’ Rezzonico vaporetto waterbus stop is next to the hotel. St. Mark's Square is a 10 minute walk away, across the Accademia Bridge. 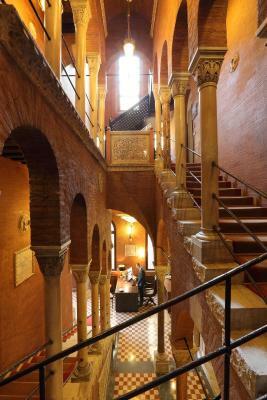 When would you like to stay at Hotel Palazzo Stern? 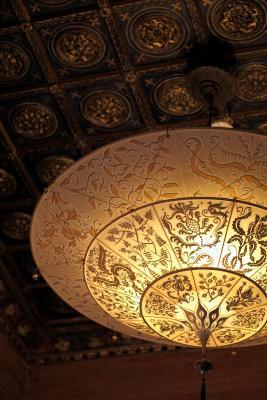 This room has an elegant Venetian design and includes tea and coffee-making facilities and air conditioning. It has a hydro-massage shower or spa bathtub. 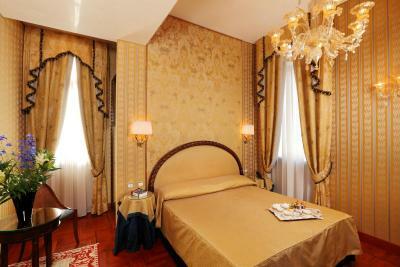 This room is decorated in a Venetian style and has views of the Grand Canal. 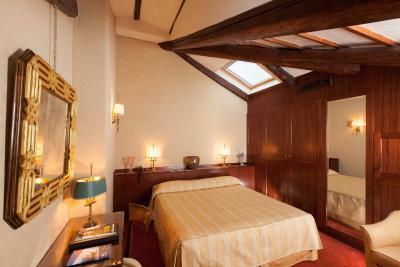 This suite overlooks the Grand Canal and has a typical Venetian style. 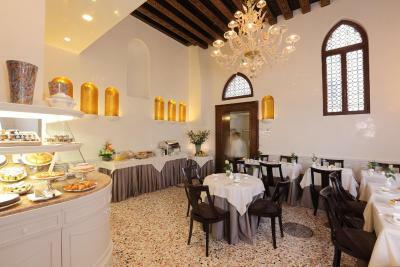 This room has an elegant Venetian design and includes tea and coffee-making facilities and air conditioning. 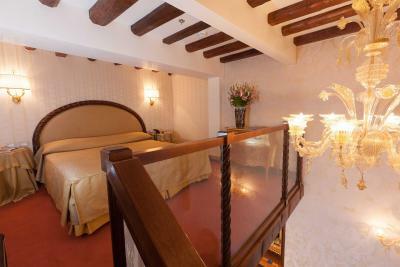 This suite is decorated in a traditional Venetian style and overlooks the Rio Malpaga Canal. 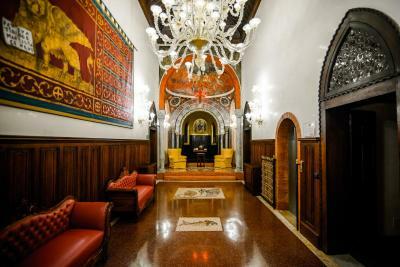 This elegant Venetian-style room features hardwood floors, oriental rugs and handmade Murano glass lamps. It is air-conditioned and has either a hydro-massage bathtub or shower. You have a view of the internal garden, the Rio Malpaga canal or the city's rooftops. This suite features a mini-bar, air conditioning and satellite TV. 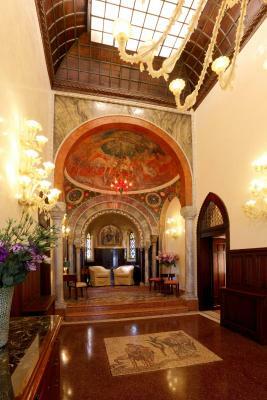 Hotel surroundings – This neighborhood is a great choice for travelers interested in art, museums and churches – Check location Excellent location – show map Guests loved walking around the neighborhood! 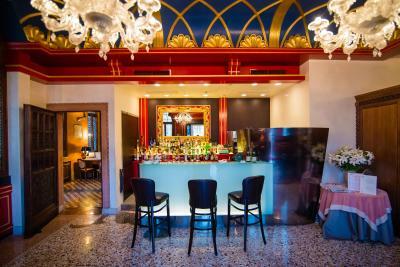 House Rules Hotel Palazzo Stern takes special requests – add in the next step! Up to two older children or adults are charged EUR 80 per person per night for extra beds. Hotel Palazzo Stern accepts these cards and reserves the right to temporarily hold an amount prior to arrival. The bathroom is a bit dated. One of the staff at the reception was very impatient when we asked him the location of nearby catholic church. It seemed that he did not understand what catholic church was .His overall reaction was just not courteous at all. Excellent location, good breakfast and beautiful canal view from the room. The Filipino bell boy was very helpful with cheerful disposition. 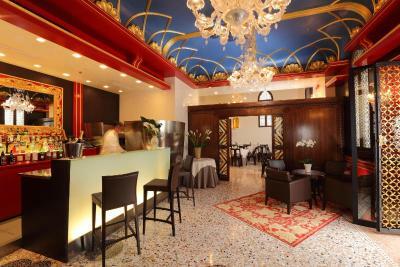 It is very comfortable hotel.Location is very good not far away from Academia bridge and San Marco, it is situated on Grand Canal. Very friendly and helpful stuff! Amazing terrace with spectacular view. 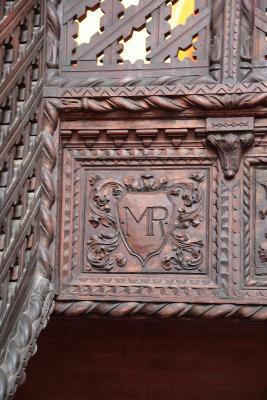 We lived in Junior suite with balcony - good soundproofing, warm,spacious room. Next time I would like to stay there for sure. The hotel location is great. You can take waterbus, watertaxi, and water shuttle directly from the pier right by the hotel to either train station, bus station, or even Macro Polo airport. 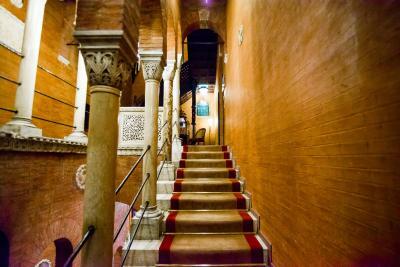 It is also short walking distance to many bridges, museums, and Saint Mark's Basilica The breakfast is excellent with hot egg, bacon, bread, and cold stuff like various fruits, meat, and desert. 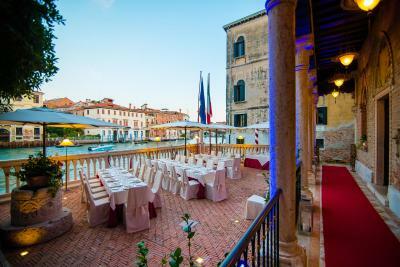 Great view to the Canal Grande on the terrace, it was awesome!! Staff lovely. Very close to the ferry ramp. 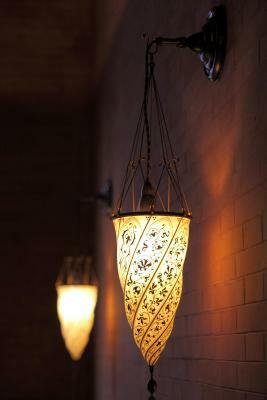 Would be nice for the reception employees to acknowledge guests as they pass by the desk coming into the hotel or down from their rooms. It felt sort of awkward to walk by employees who's heads are down in their work and not be acknowledged. The dressing gown was clearly washed many times before - too gritty and hard to wear - you need to invest in some new ones! Otherwise everything was perfect - thanks for a wonderful stay . Free upgrade! Lovely staff. Beautiful room with canal view. Gorgeous hotel. View from the terrace on grand canal is amazing. Very very spacious room (even if we had a standard one!). Friendly staff, great cappuccinos in the morning.